Teresa graciously agreed to answer some questions for me about the book. You and I have both recently written books that include people of genuine, true religious faith (my book is The Hum and the Shiver, out this fall). The pitfalls of this are enormous: the danger of sanctimoniousness, of preachiness (literal and figurative), of simply alienating readers who don’t share whatever faith the characters embody. How much did you worry about this, and how did you overcome it? Thanks so much for having me here, Alex, I really appreciate the opportunity to talk about some of this. Truth be told, I’m still worried about some of those things. Although I think people who read speculative fiction are open-minded and much more amenable to experimentation than other genres, I still worry that some may suffer contempt prior to investigation. I hope not. It helps that I have no agenda here. I’m not out to push a viewpoint, Christian or otherwise. I just wanted to tell a story, and as I constructed Woerld, I realized the focus would be on Lucian, who happened to belong to the Christian bastion. From that point forward, I had to educate myself about Christianity and I was really surprised by the facts I found. personal growth doesn’t come from automatically joining a group, but comes through the internal work of the individual. If you read most religious texts closely, they emphasize a personal contact with a higher power, not group-think. So I did very much what you’ve done with Reverend Craig in The Hum and the Shiver—I simply had Lucian live his life in accordance with the dictates of his beliefs. I’ve always loved Emerson and Thoreau’s writings and their emphasis on the individual’s responsibility to contact the divine within and bring that light into the world through action. That is a concept inherent to all religions and I wanted to illustrate that philosophy in Miserere. You incorporate a young woman, Lindsay, who must learn both to be a warrior (a common fantasy trope) and to truly believe in God (not so common). What did she represent for you? Lindsay represents our twenty-first century’s society secular thinking about religion, our preconceptions and our misconceptions. Her exposure to religion comes primarily through the media, meaning she understands the various religions through the extremes of the worst possible examples of the adherents: politicians who mouth their version of Christianity while they actively engage in immoral behavior; a Catholic Church hiding child-molesting priests; jihadists that believe their way to paradise is paved with the bodies they leave behind; Hindus and Muslims and Christians and Jews constantly fighting one another either in rhetoric or with guns. This is what Lindsay is exposed to day after day, then she is taken to the obligatory church service, plunked in a pew, and told God is love. Needless to say, she’s a tad cynical over the whole thing. Kind of like the rest of us. So I like having her as the voice of the reader, to question Lucian and the adults in Woerld about how things work. That way I can gently ease my readers into Woerld yet not make the picture too rosy. It’s not. There are serious conflicts among the bastions and the governments in Woerld—it was never my intent to present a Utopian society. Children aren’t afraid to question the status quo, and they see things very clearly, more clearly than adults want to admit. Lindsay is the perfect lens to view Woerld and its imperfections. Your novel is definitely a fantasy, and many fantasies create their own religions. You chose to use actual existing world religions. What was your thought process behind that? I thought about Tolkien and Lewis and wondered what The Lord of the Rings would have looked like if Tolkien had written it as a Catholic story instead of embedding the religious tenets beneath Middle Earth’s mythology, or what Narnia would have looked like if, instead of a lion, Aslan was the Christ. Not being as much of a fan of Tolkien as I am of Lewis, I really started reading Lewis’ works; he had a talent for rooting out the spirituality of Christianity and getting to the essence of its beliefs without sanctimony. I checked out some other current fantasy titles that used fallen angels, and while they addressed the fallen part of the situation, very few showed it from a Christian angle. I think God’s Demon by Wayne Barlowe was the closest novel to presenting hell from a Christian viewpoint, and I love what Barlowe did with that story. The language he used, the characterization, and his perception of hell as an actual, physical place just knocked me for a loop. Barlowe took the war in heaven and showed how the fallen angels fought. I’ve always been fascinated by the war in heaven and often wondered: what if it’s still going on? I’m sacrilegious like that. In the end, I fell in love with the absolute challenge of it. This is my own ego talking now, but I wanted to prove you could write a fantasy with Christians in it without the story becoming insipid or preachy. I began constructing Woerld and realized that all religions have some form of hell or purgatory, so realistically, it wouldn’t be just Christians. I mean why would heaven only use a fraction of its forces to combat evil? So the other religions started seeping in and with that there must be a hierarchy, and the structure of Woerld evolved until it became what it is in Miserere. The more I worked on it, the more detail seeped in, and again, I just loved the challenge of using real religions. You have a male hero torn between and among a group of women: his sister, his former lover, and his new protégé. Was there a deliberate thought process behind the gender roles for these characters? I wanted to step outside of a few of the standard fantasy tropes and twist them. The most common trope from the fairy tales of my youth was that of the beautiful princess who was captured by the evil warlord or witch and rescued by a handsome prince. I wanted to turn that trope upside down and show the handsome prince who was captured by the wicked queen and rescued by the beautiful princess. 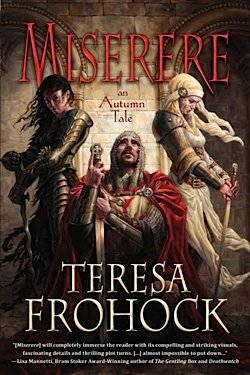 Only in Miserere, the prince takes a real beating from the wicked queen, the beautiful princess is mauled and half-mad, and the wicked queen isn’t strung too tight either. That was my primary thinking, then everything sort of got away from me. Most people are conditioned to see men in one of two roles: protector or aggressor. Lucian sees himself as the protector, even though it is Lindsay and Rachael who end up saving him more often than he saves them. He is determined not to abandon them, though, and that’s important, that desire to be a part of someone’s life even if it means constraints on his existence. Nor did I want the women to be perfect. Rachael had her part in her own downfall; Catarina is a grand case of self-will run riot; and Lindsay thinks they’re all being horribly unfair to Lucian while she downplays his crimes in her own mind. When I got the cover art for Miserere (by the wonderful Michael C. Hayes), I just cried, it was better than anything I could have imagined. I had been dreading what an artist’s conception of Miserere would be, but more than anything, I feared chain mail bikinis on the women and Lucian standing with Catarina and Rachael kneeling or the women pictured lower in the foreground. poor Lucian—looks to Heaven, because when you’re trapped between those two women, your only salvation is from above. 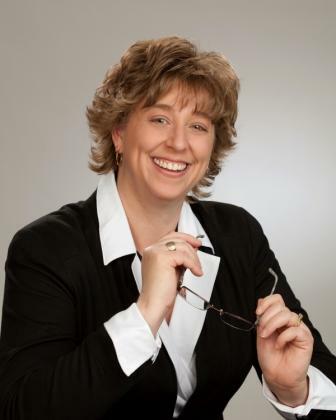 Thanks to Teresa Frohock for answering my questions. Miserere: an Autumn Tale is available now from Night Shade Books. Great interview! I'll be hosting Teresa in a week or so, and I'm really looking forward to it. Miserere was just wonderful!